In the Lowcountry of South Carolina, many homeowners find they aren’t able to use their screened porches throughout the entire year. 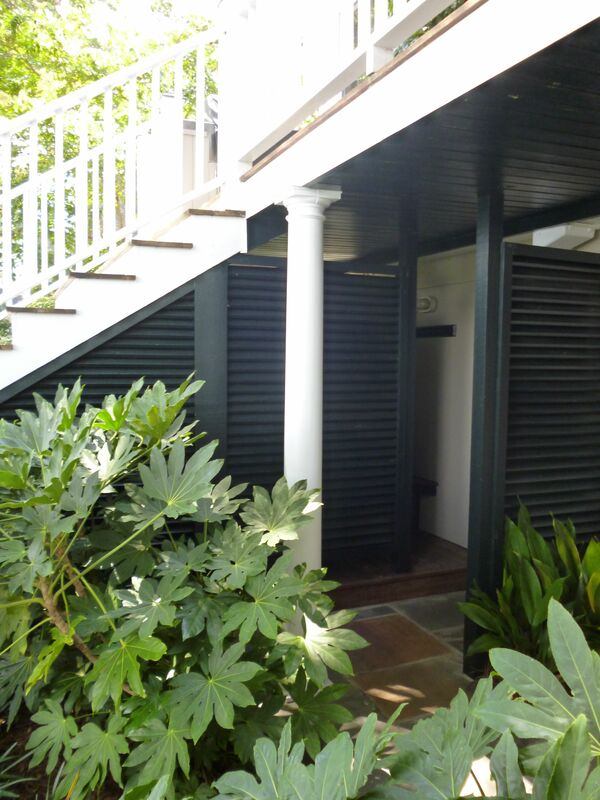 Whether it’s too cold in the winter, too hot in the summer, or pollen saturated in the springtime, the homeowner with limited space sometimes decides to trade screened space for a four-seasons room. 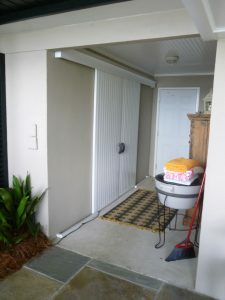 Perhaps they find an enclosed space more useful for entertaining, or they need a kid-friendly area, or simply wish for overflow space when guests are in the house. Frequently enclosing their screened porch is the answer. This house had an elevated screened porch. To fully utilize the space, Kevin Kalman and the homeowner designed an enclosed room that would cantilever out over a brick patio, providing two living areas; one heated and cooled, the other in open air. The area under the stairs could have been left to the spiders; instead, Kalman used it for a pool changing room and outdoor shower. 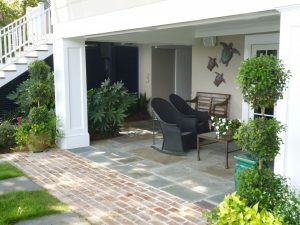 A screened porch renovation turned into a sunroom, a covered brick patio, a storage room for beach chairs, and a changing room with an outdoor shower for the pool.